Now millennials, paper may seem extinct to some of you, with the ever-prevailing digital world we now live in. But a lot of people are still heavily reliant on paper-based systems. 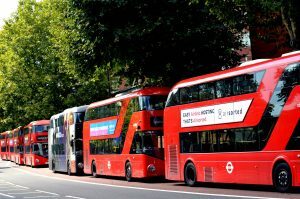 In fact, the amount of waste paper sent to landfills every year would equate to filling 103,000 double decker buses! 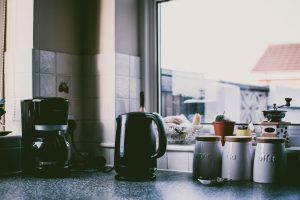 You’ve got to break those bad habits… Simply turning the light off when you leave the room and powering down after use could reduce your energy consumption by 36%, which would save you around £40 each year. Kit out your office with recycling systems. You could use funky coloured bins and labels while you’re at it. 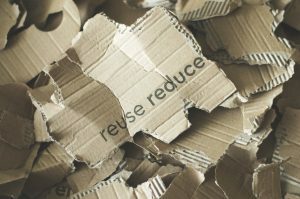 Remember… glass, plastics, printing cartridges, food waste and lightbulbs all contribute to methane production in landfills and can all be recycled. Whoever’s stuck on the brew run, only boil as much water as you need. Filling a kettle full uses enough energy to power an energy efficient fridge for four hours! Savings are thought to be around £7 each year. Every little helps. To see bigger savings of around £80 every year, make sure you’re in control of your heating. Turning the thermostat up by just one degree can add 10% to your heating bill. So that employee who’s always cold, tell them to put on their thermals. Statistics state that the average office temperature should be set to 19 degrees Celsius. So hands off! Think smarter with a smart meter. You’ll be able to monitor your energy usage to give accurate meter readings to shirk being overcharged. With better visibility, you will be more aware of your energy consumption, and in turn, see first-hand your energy bills significantly reduce over a year. 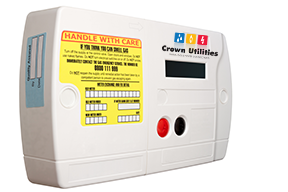 Whether you require a smart gas meter or a smart electricity meter, or both (dual fuel smart meters), Crown Utilities are here to help. A smart meter will not only provide you with the current costs of your energy, but also frequently update your provider. This not only helps you better prepare for your gas or electricity bill but also enables your provider to have accurate meter readings so you only ever pay the correct amount.